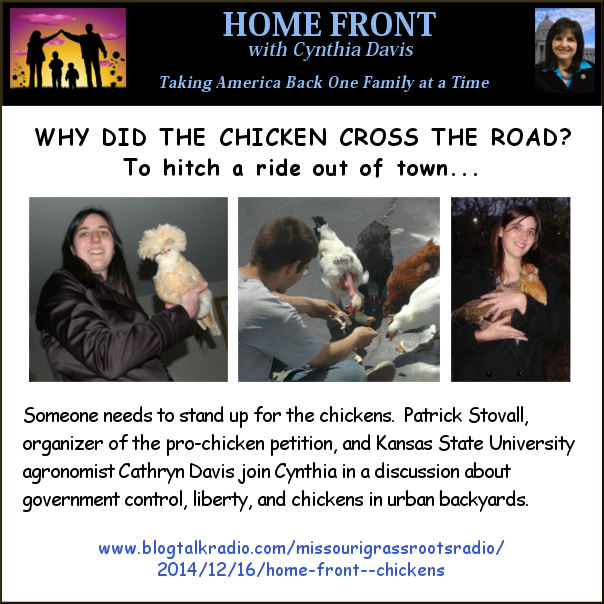 The Chicken Saga - O'Fallon, MO new anti poultry ordinance. 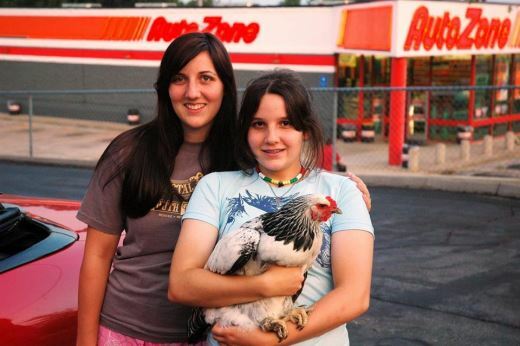 The Chicken Saga - O'Fallon, MO new anti poultry ordinance. This was one of our first flocks. Here I am with five of my children gazing at the day old chicks in our garage. Notice the heat lamp, the box they were shipped in, the feeder and the waterer filled with a special hydration blend with extra vitamins. You can learn so many lessons from chicks. 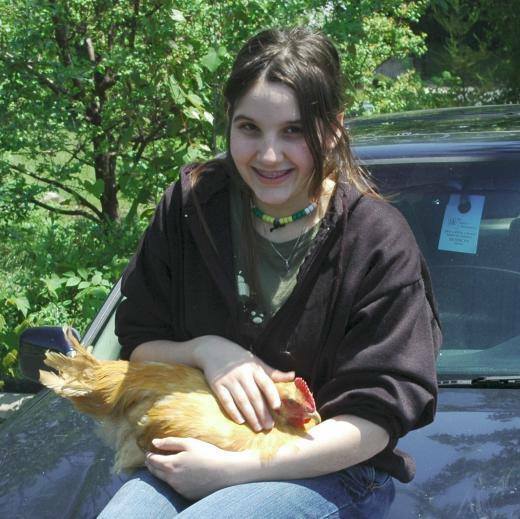 A few years ago, my daughter wanted to raise chickens, so she called our city hall and asked if that would be okay. The staff person told her O’Fallon didn’t have any laws against it, so we ordered our first flock. It was a happy day when we got the call from the O’Fallon Post Office at 6:00 am telling us they had a box for us. We could hear the chicks peeping in the background. They were packed the day after they hatched and had been traveling for two days, so they were happy to find their new home. The company ships them in lots of 25, so they can keep each other warm. We kept them in our heated garage for the first few weeks. 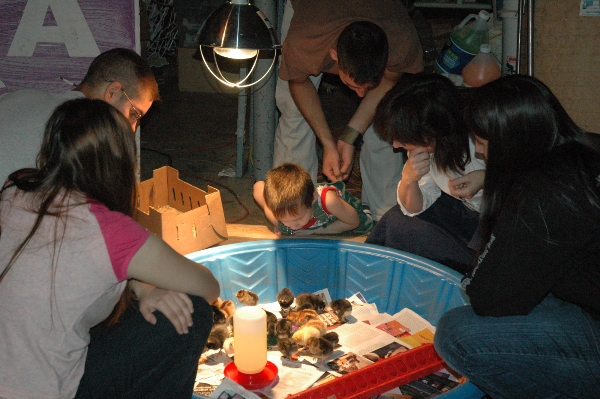 When they got big enough to jump out of the incubator (swimming pool), they enjoyed walking around our garage. We bought the “special assorted bargain”, which means we didn’t find out what kind they were until their adult feathers came in around three to four weeks later. It was fascinating seeing all the different colors and physical features. They all were named and loved. There is nothing quite like a baby chick! 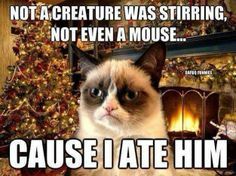 However, chickens don’t last very long. Some met their demise by foxes, coyotes, possums, raccoon and hawks. While it was sad to see them go, we learned a great deal about life, protecting each other and the joy of finding an egg in the nesting box. Over the next few years, we had possibly as many as 200 chickens in groups of 25 at a time. My children learned a lot of valuable lessons they will cherish forever. One lesson I wish they had not learned happened when I was running for a higher office. When people put their names on the ballot, they open themselves and their families up to harassment from many different angles. While I was involved in challenging my opponent, we received a letter from the City of O’Fallon telling us we had two weeks to get rid of our chickens. We were forced to have some butchered and gave others to a local farmer. It was a great heartbreak, not just for me, but more importantly for my children. On top of all that, the local newspapers had a heyday. How many citizens from our city get a letter demanding they get rid of a major part of their lifestyle and it gets a write up in the newspapers? 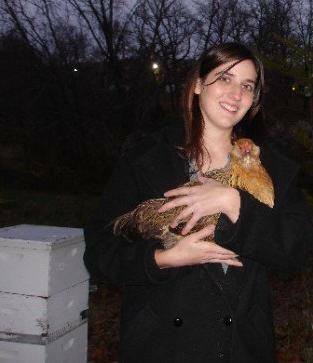 Here’s one article, but when the original story ran, they used a photo of my daughter with a cute chicken: O’Fallon Orders Chickens Off Rep. Cynthia Davis’ Property. Perhaps the editor was straining to find a less charming photo, so someone came in my backyard and took a photo, without my permission of a sheep pen that was never used for chickens. I remember walking back into the Missouri Capitol the day after all of this exploded having to answer questions from so many of my rural colleagues who thought it was downright laughable that my city is worried about my chickens. They even put an inflatable chicken on my desk and wrote “Buffy” on it after one of our favorite chickens. What are your property rights? The O’Fallon City Council took a vote on a preposterous ordinance to legalize the chickens, but it failed because it started at the wrong place. It began with imagining the worst in our citizens instead of imagining the best. We are better than this and we need to make rational decisions based in facts, not on fears. The resulting failed bill was an underhanded revenue generator for O’Fallon. It was so difficult, expensive and intrusive, it was clear that it was designed to discourage anyone from even trying to have chickens. Fortunately, our Charter form of government allows the citizens to put our own language on the ballot if we can get enough signatures from registered voters who live within the city limits. We now have drafted something that is fair and reasonable that will remove the vagueness and arbitrariness from our current laws and help our citizens enjoy their own destiny on their own property. Bear in mind that this new proposal won’t help anyone who lives in a subdivision with covenants and restrictions, but it will help those who just want to enjoy their own property and the fun of having a great science experiment. Here is the story that ran on Fox 2 Now news a few days ago: O’Fallon Residents Debate Backyard Chickens. The City Government needs to do a better job of listening to those it represents. Instead of trying to make life difficult on their citizens, the elected officials should be asking how they can build a better community. If you agree with “life, liberty and the pursuit of happiness”, stop by my bookstore and sign the petition! Join our O’Fallon Watch Facebook Group to get updates about the other petition about the repeal of the law allowing drivers to be pulled over for virtually any reason in O’Fallon. The town I live in has anti-poultry laws, however, our Holden Beach area code is no different from Supply. Supply has no laws againt backyard chickens, just animal nuisance laws. My question is do I have a fight here for keeping my 3 chickens? What say does “Holden Beach” have if it still falls under the Supply area code?